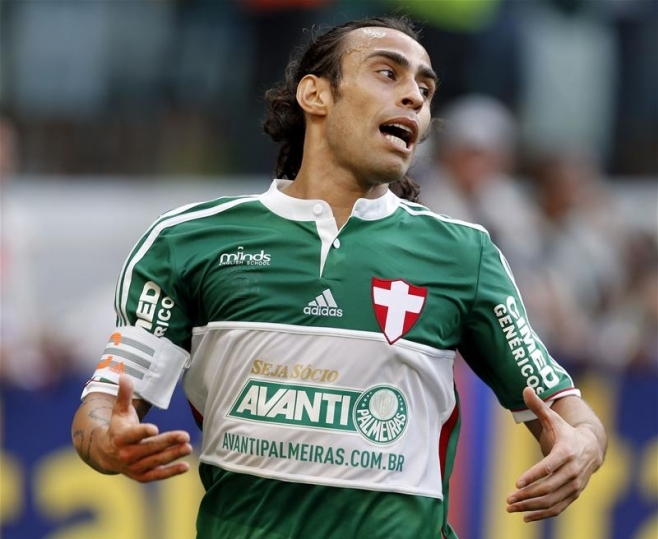 Palmeiras midfielder Jorge Valdivia has been banned for two matches for calling referees 'thieves'. According to website ESPN FC, a Brazilian sports tribunal found Valdivia guilty of making the offensive comments, after readng referee Vinicius Furlan’s report from Palmeiras’ Campeonato Paulista - Série A1 final against Santos, which they lost 4-2 on penalties, after a 2-2 draw over two legs. Furlan alleges that Valdivia, who was not actually involved in the match, made the accusation in the tunnel outside the changing rooms at Allianz Parque - Palmeiras’ home stadium. The suspension means that Valdivia will now miss the first two matches of next year’s Campeonato Paulista - Série A1, but will not see his involvement in the Brasileirão or any other domestic competition affected. The 31 year-old might not be at Palmeiras to see out that ban. His contract with the club ends in August and, as yet, he has not agreed renewed terms. Valdivia, who has played for Rayo Vallecano and Servette in Europe, is in his second spell with Palmeiras. His first joined them from Colo Colo in July 2006 on a free transfer and was part of a side that won the 2008 Brasileirão, before moving on to Al-Ain for a reported fee of €8 million in August 2008. He would eventually return to Palmeiras in July 2010 for around €6 million and last season played 17 times in the Brasileirão, after help the club return to the top flight, following relegation.